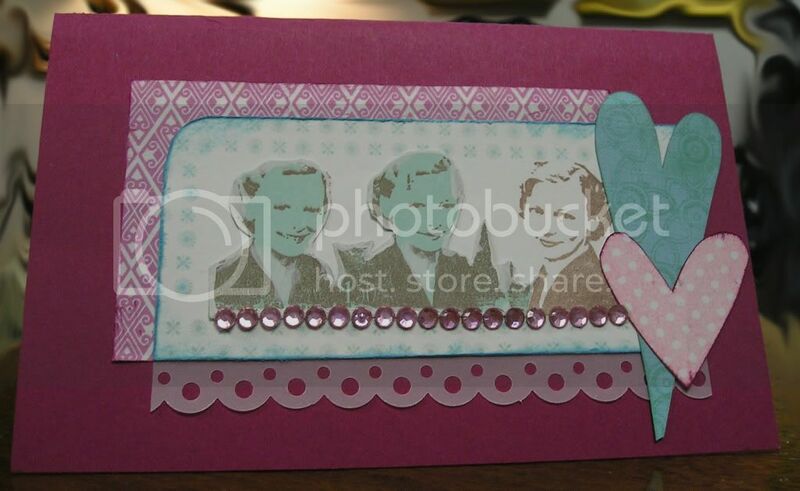 I recall mentioning using my Cricut and then setting a challenge for myself to use up all the shapes I had cut out to make cards last March (as in March 2009). I really should do such a challenge again because I enjoyed making the cards quite a bit and felt a thrill of accomplishment (I may have a low threshold). 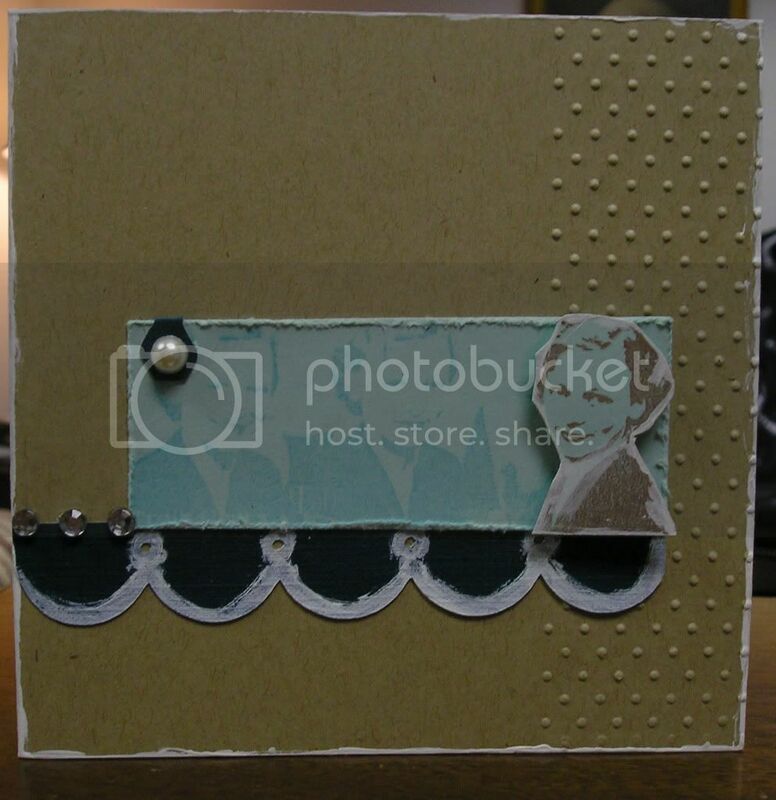 Here is another such card this one I used a stamp I love from Stampington & Company designed by Carin Andersson. I believe at the time I was inspired by Heather Nichols to use kraft and white paint (I didn't have a good white ink at the time). Of course my cards don't have her rustic elegance, but they didn't turn out too shabbily. What came from the Cricut were the scallops and the tab thing. I have no idea what the tab is really (maybe there is someone out there to enlighten me), but I used it as an embellishment. Notice I used the rest of the Aqua Mist ladies from the first card to add to this one. I was trying to be very thrifty and clever with my scraps. The hardest part of blogging about older cards is trying to figure out what supplies I used. It is a bit of a crafting mystery I need to solve and I have to riffle around in the studio to find this stamp, this paint or that ink. Anyone else as mired in crafting puzzles? Thank you for calling at the Hall!